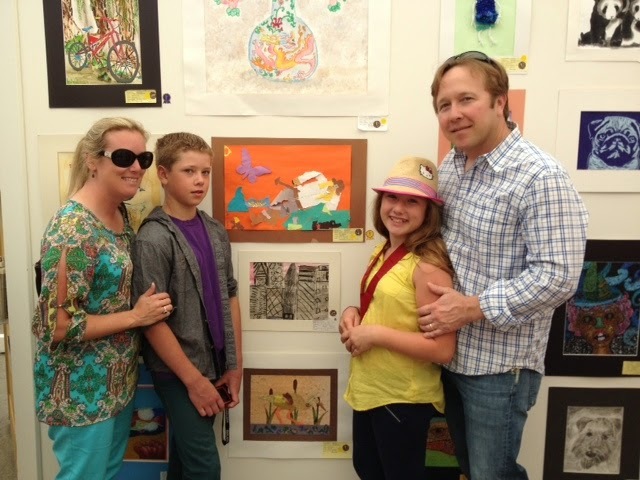 Daphne and her family with her artwork at the Festival of Arts. Lily and her mom with her artwork. 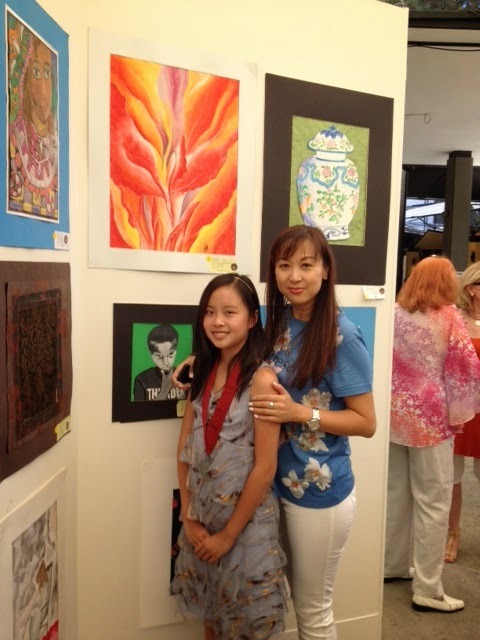 Lily C. and Daphne S. had their art chosen to be part of the student art show at the Festival of the Arts in Laguna Beach all summer. They both received special awards in addition to their art on display. They were also given special artist medals. Congratulations Lily and Daphne for your creative talents!